FriendGrief: How Long Should You Grieve Your Friend? When she typed this, it had been five years since Delle died. “I think about her every day” doesn’t mean she thinks about her in a sad way, of course. It might mean that she simply walks by Delle’s apartment building, or sees a gun-metal grey PT Cruiser like the one Delle used to drive. Something triggers a memory. There are times when I walk into the coffee house we used to frequent and even now, six years later, I’ll look around, half-expecting her to be holding court as she nurses a green tea latte. Is that grieving or not? The incredible First Selectman of Newtown, Connecticut, Patricia Llodra, has begun the delicate process of removing public memorials to the children and adults murdered at Sandy Hook Elementary School. Concerned that the flowers, teddy bears and other gifts were ruined in recent storms, she gave the order that they be removed – after the families of those lost had one last opportunity to visit the sites. Soldiers talk about their lost comrades decades after combat, memories sometimes tinged with survivor guilt. 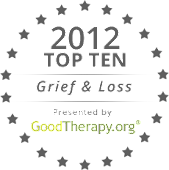 There’s been much talk of the definition of “healthy” grieving, as opposed to a grief that spirals downward into serious, clinical depression. But I don’t think even the American Psychiatric Association can define just how long – or how - we grieve our friends. Throughout this coming year, we will look at ways people remember their friends. They are as varied as the friendships themselves, but all are about preserving memories: memories that sometimes never move from bad to good. And we’ll look at the toll that can take. Everyone grieves in their own way. You may be surprised to find that you grieve people differently, depending on how close your friendship. You may be surprised to find you grieve more than you expected – or less. We’ll be sharing lots of these stories, as well as the publication of the six books in the Friend Grief series (see the Books and Events pages for updates). It’s going to be an exciting and interesting year here on Friend Grief. I’m glad you’re along for the ride!